What to Consider When Choosing a canister vacuum cleaner for pet hair? In this guide, we will compare and review the top 5 canister pet hair vacuum this year. I love my pup but hate the hair that it leaves behind everywhere in the house. Pets are of course, our greatest companions but having them bring a lot of troubles along. Cleaning the accumulated hair is quite time consuming and annoying as you require regular vacuuming to keep the house clean. For those with hair allergies, it is especially important to get a pet vacuum. Keep your sanity and get your hands on the greatest weapon i.e. canister vacuum cleaner to wipe off the pet hair. Say goodbye to the annoying hair on the floor, under the bed, in the upholstery and under the comforter. Treat yourself with delight by investing in one of these high quality pet vacuums which are sure to help you out with the cleaning process. Designed for pet owners, Miele C3 is power packed vacuum cleaner that is perfectly suitable for cat and dog hair vacuuming. 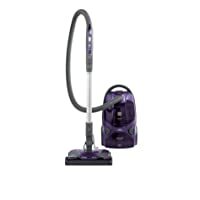 It is equipped with a generous 1200 watt suction power and five level height adjustments. Other than that, the LED lights promote enhanced visibility and you don’t have to bend to on/off the buttons as it is featured with foot controls. As you clean, the parquet twister offers 180 degree rotation to get in every nook and corner of the house. Whether it is a hard floor or a carpet, this machine works wonders for both. Next, it has a six stage suction control and a deluxe comfort grip handle to offer smooth and easy operation. Additionally, it is integrated with a sealed air cleaning system that makes sure to capture the small particles and allergens. The mini turbo brush removes pet hair from furnishings and air clean filter absorbs pet odour. Wouldn’t you want to buy this incredibly featured machine under $950? Numatic Henry is actually a professional vacuum cleaner with high end specifications that make pet hair cleaning really easy. It has an outstanding performance, high low operation and a cable rewind system. What makes this machine one of its kinds is the 3 stage microfresh filter system that enhances filtration to 98%. Also, it embraces a giant activated charcoal filter membrane that provides odor control system. For the pet owners having allergy problems, this feature is a must-have when it becomes impossible to tolerate that bad pet odor. Cleaning has never been easy as it features a powerful 580W motor and a 30 degrees cable rewind system. 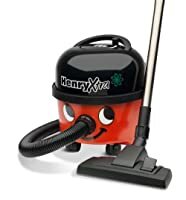 One of the choicest machines, Henry Extra is my favourite since long given the airo powerbrush that offers commendable carpet care for pet hairs. Other tools include a stainless steel tube bend, crevice nozzle, a double taper hose, nuflex threaded nose and a slide on brush. And what’s more? The Henry Extra uses Hepaflo dust bags as an added advantage. In my opinion, Miele rules the canister vacuums’ industry. This one is a true leader when it comes to the durability and versatility. With five level height adjustments and an independent motor, Miele cat and dog cleaner works outstandingly while cleaning the pet hair. It is one of the best vacuums to clean the hair from the surfaces like carpets, upholstery and hard floors. To wipe off the hair from upholstery, it is features with a mini turbo brush and its active air clean filters remove pet odors due to the active charcoal. The Parquet twister floorhead is an exceptional feature that rotates at 180 degrees for all smooth flooring. Additional highlight includes 6 speed settings which control the power level for the type of surface being cleaned. Also, you will get a regular cleaning tool, crevice nozzle and a dusting brush. This machine is most durable and easiest that makes hair cleaning virtually effortless on high pile carpets as well. Never miss out on this canister vacuum cleaner if you want great performance. Though Miele has a track record of long lasting performance, you can get this awesome machine under $600. Historically, Dyson is the king when it comes to canister vacuum cleaners. It is designed keeping in mind the pet owners and so the machine is featured will all the latest technologies. Customized for homes with pets, its tangle free turbine tool removes hair from upholstery and carpets effectively that no other machine at the same price can. The Dyson Cinetic Animal Vacuum contains 54 ultra efficient tips which oscillate 5000 times per second. It is an awesome feature to separate the microscopic particles perfectly well. With stiff nylon bristles, it makes easy to grab dirt from the carpets and the canister throws out the debris in a single push of button. No need to touch the debris, EWWWWW! Additional features include a large bin, wand handle that rotates in three directions and the ball technology to move the machine around obstacles while cleaning. So why to wait? Get this vacuum under $420 and enjoy the award winning features. Kenmore has the exclusive and groundbreaking innovations under its belt and this product is no different. Kenmore 81614 is an iconic machine that is best priced pet hair vacuum, available under $270. 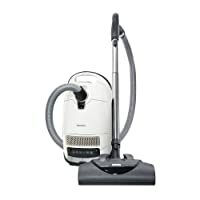 Of course, it doesn’t have the exact features as compared to the above mentioned vacuums, but if you consider affordability, this one is a game changer. In many ways, it’s one of the best machines given the power and adjustments to deal with pet hairs. Other than that, any type of debris and mess that pets bring are also sucked in with this vacuum cleaner. Be it a carpet or a hard floor surface, the motorized roller brush is the perfect thing to remove hair. Also, for those pet owners who want to mop off allergens from the house, the HEPA filtration does it all. Attach the brush and work with the easy “pop and go” innovative feature. Other than that, you can empty the machine really fast as it uses a bag which makes this canister vacuum a matter of less fuss. It really is a good machine at this amazing price as it contains specialized cleaning heads for multiple work surfaces. The capacity of the canister vacuum really matters as you need to empty the bin when it is full. For large homes, large storage capacity is important or else you will keep on emptying it after every few minutes. Many models have HEPA anti allergen filtration to clean the air containing small particles of allergens. For pet owners, this feature is highly important to be there in the vacuum or allergen can cause breathing problems later on. If the machine doesn’t have this filter, think twice before buying. The long cord length is always good to reach hard and high areas where the vacuum cannot go. You cannot keep on taking the machine along wherever you go so make sure that the hose length is enough to reach the ceiling and get into the corners to remove webs as well as debris. A very important factor to consider is the performance of the canister vacuum. If it cannot remove pet hair perfectly, then the machine is useless. The sole purpose of the pet vacuum is to remove pet hair and if it is not capable of doing that, it is not at all worth. Having tons of innovative features don’t make the machine good but the performance. Reaching the nooks and corners of the house is highly essential so ease of movement is a significant factor. Never go for a bulky and heavy canister vacuum because it becomes really hard to move the machine while cleaning. Although the manufacturers try to keep the machines light, yet you have to read the reviews and weight of the vacuum cleaner beforehand. Pick the lighter vacuums as they are most suitable for every pet owner. Do check the warranty period of the shortlisted vacuum so as to get the perks if the product doesn’t perform well. Free repairs and replacement are included in the warranty period. Durability factor is another thing to keep in mind because you wouldn’t want to invest a large sum of money in something that breaks easily. Look for the tougher attachments that can withstand years of use. Hopefully, you now have a clear idea of the model you want to buy from this list. 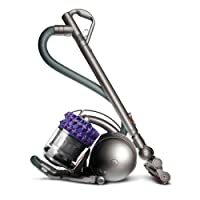 I have reviewed the best canister vacuum cleaners in this guide and presented the most important information, features and pros/cons of all the models. With this, you can pick the one that’s most suited to your requirements, budget and needs. Since I have used these models, I keep Numatic and Miele Classic C1 on the top given their prices and features. If you want to invest in a professional model with all the innovative features, Miele C3 is your pick as it doesn’t ask you to bend while cleaning. Kenmore is best suited for budget friendly people who are going to use a vacuum for the first time. Buy any of these and spend a jolly time with your pups or cats while removing their hair from the house. Live in a healthy environment by investing money in the best pet hair canister vacuum suited for your needs. Wish you the luck!